David and I ran a concluding workshop for the 2nd-year clinical psychology professional doctorate students yesterday. They were a lively and motivated group – an opinion in no way influenced by being plied us with mince pies and biscuits as this was their last session at university this semester. David asked them to recall the introductory presentation I gave them on 1 October. Luckily they could: they remembered discussion of backing up data, issues with using USB drives and Dropbox, Data Protection etc. The timing was seen as “ideal” since they were starting to think about their research projects. Only one had started to look at the MANTRA material I recommended, though he found it useful and detailed. Others said they would look at relevant modules when they were underway with their data gathering activity. They found the exercise worthwhile, and were able to relate it to their own concerns as students managing data as part of their own studies. There were also some challenging questions we couldn’t answer about some of the processes they have to engage with (like what they put in their research ethics application). I suggested they use the template as the basis for discussions with a supervisor. We will repeat this exercise in the future, and adapt it to other disciplinary settings. I think this suggests a useful model for generating training material specific to a particular discipline. Firstly I should introduce myself; I’m UELs new Research Data Management Officer. I performed a similar role at the University of Glasgow, working on the C4D project. The outcome for Glasgow was a live data repository built on the EPrints platform. I am excited to now be part of the team at UEL, where we have an excellent opportunity to provide a fantastic new RDM infrastructure and service to our staff and students. 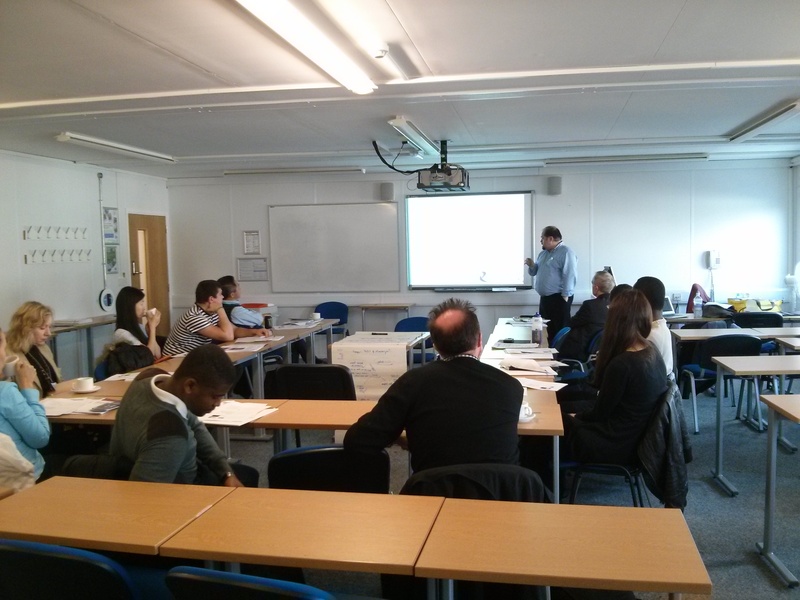 Stephen and I ran a Research Data Management Workshop yesterday in our Stratford Campus. We had 11 participants, from a variety of backgrounds. We aimed to give a wide outline of the importance of good RDM and the services we offer in the library. Stephen led the introduction and invited the participants to tell us and each other about the sort of research they do, and their relationship with data. There was a very good variety of research data being created and reused, from sensitive patient data, foreign government data, and interviews, to large quantitative datasets. Stephen then started the presentation on managing your research data. I took over at one point and gave information on backing up and securing data. Once I had finish Stephen finished off by talking about Data Management Plans. We then took a short break and encouraged everyone to have a go at completing a sample data management plan we provided, based on work by the DCC. The feedback at the time suggests that this was very helpful. Some saying that it helped make what they need to do for their research clearer. We gathered the DMPs and plan on providing feedback to those who left their email addresses. Our feedback forms show that overall the workshop was very well received. It has also given us ideas on how we can improve the flow in future. We are very pleased with the level of interest shown by the participants, reinforcing our view on the importance of providing good support for research at UEL. In the introduction we heard about the data activity of participants, both research students and staff. Sarah then walked through the need to have a data management plan when seeking Research Council funding, but also stressed that they are useful tools for researchers themselves (even without an external requirement). She highlighted the common topics covered by plans, whether from funders or institutions. And we had a walkthrough of DMPonline (in its new improved version, in beta at http://dmponline-beta.dcc.ac.uk/) which helps create a plan customised to a particular need. Next we looked at a couple of real DMPs – the sample AHRC Technical Plan offered by the University of Bristol (which helpfully includes the assessor’s comments on each section of the plan), and a UK Data Archive one from the ESRC/BBSRC/NERC Rural Economy and Land Use programme. These helped to reassure the participants that DMPs are not long or complicated, and laid the ground for the next exercise – drafting a plan using a straightforward template. We’re grateful to Jez Cope the template’s creator and to Bath for making the template available under a CC-BY licence, which allows others to reuse and adapt it. 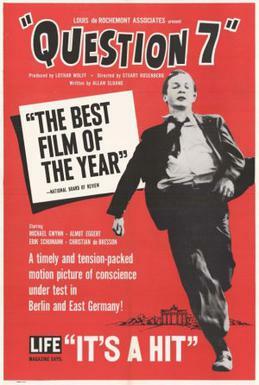 The template is available in Bath’s OPUS repository (at http://opus.bath.ac.uk/30772/), as is a similar one for research staff. I wrapped up the workshop with a quick mention of Research Data Services, the support service we are developing at UEL to help staff and students manage their research data. We got some good ideas about what this should cover from participants, so thanks for that. Participants took away a copy of Sarah’s DCC guide on writing DMPs and the UK Data Archive’s Managing and Sharing Data, and an offer to review any plan they worked up after the workshop. UEL has an annual Research and Knowledge Exchange conference where its academic staff and students can share their research with each other and with an invited external audience. Abstracts are submitted for peer review, then the successful authors give a 25-minute presentation on the day. Papers are available in ROAR, UEL’s research archive. 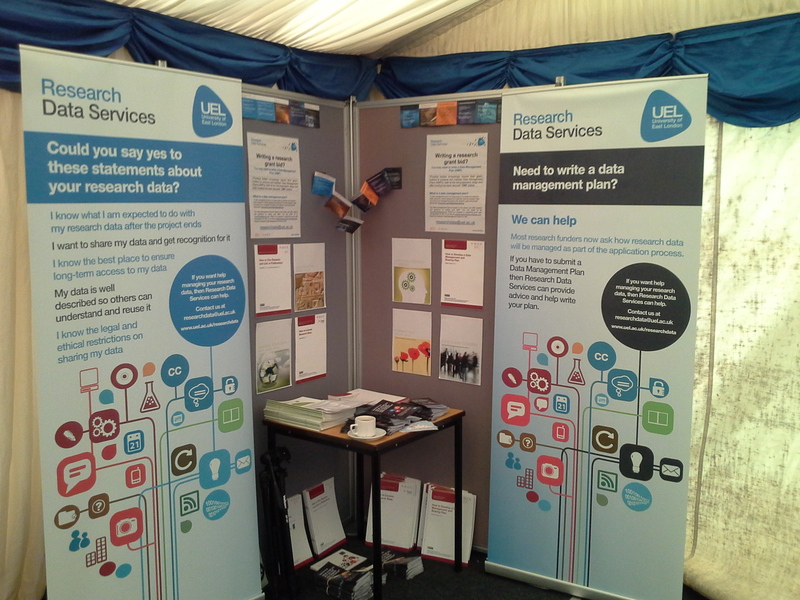 The 2013 Conference was held on 26 June, and John and I manned a Research Data Services stand in the conference marquee to explain our services to this key audience. 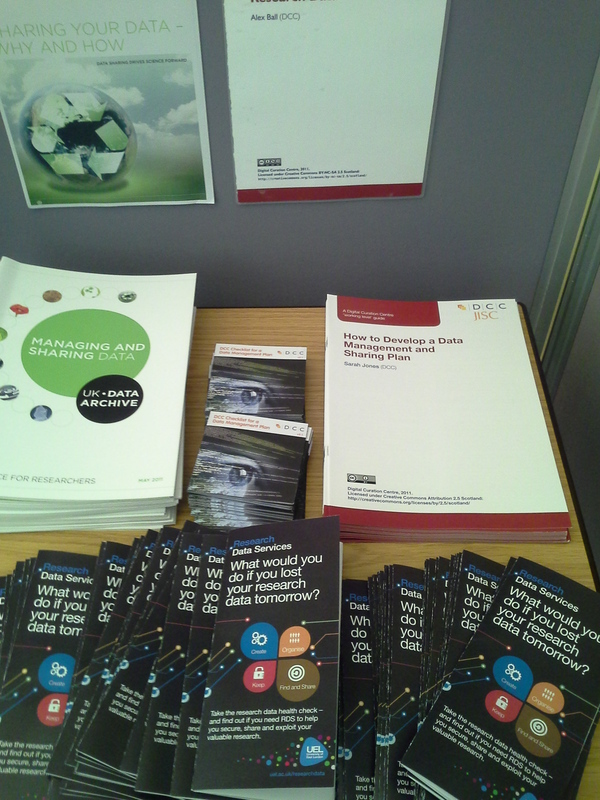 The leaflet was based on one created by Leicester University (available here), challenging researchers to think about “What would you do if you lost your research data tomorrow?” and offering a checklist of things to consider around four areas: Create, Organise, Keep and Find & Share. Very many thanks to Dr Andy Burnham for permission to reuse the Leicester leaflet’s text, and to the whole RDM team at Leicester for creating such a useful resource: it is hard to seem engaging in a short leaflet, so offering a checklist of RDM-related issues for people to consider with a clear message of support from central services is a very worthwhile approach. It starts a dialogue with researchers about where they would like support from a central service, and can act as a prompt for taking appropriate action. Summer had finally arrived and the marquee was sweltering, so we didn’t get as much attention as we’d liked as people rushed through to rehydrate. But it was still worth our while to have a presence, and we engaged with several research-active staff to follow up later.